We are supporting Wild About Gardens Week with People’s Trust for Endangered Species, our partner in Hedgehog Street. 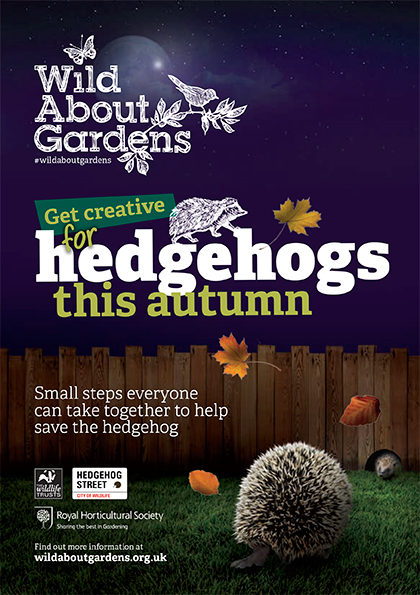 This year the week long event organised by the RHS and Wildlife Trust is focussing on helping hedgehogs! Click on the image below to see the specially produced 16 page booklet.